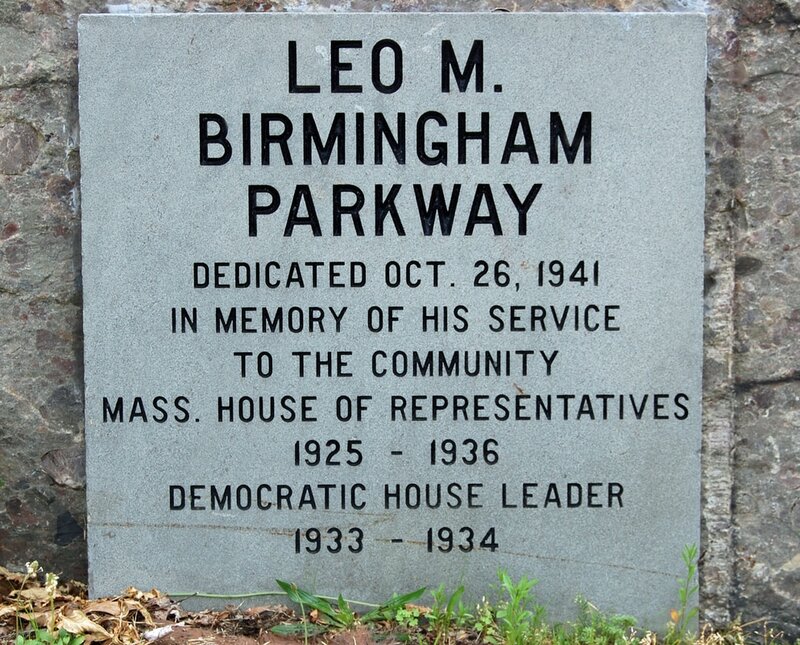 Leo M. Birmingham was a state representative from the Brighton section of Boston from 1925 to 1936 and was Democratic House Floor Leader of the Massachusetts House of Representatives from 1929 to 1934. Birmingham was born in Brighton in 1893, attended Boston College, served in World War I as a U.S. Navy ensign, and was a prominent businessman, owning the Leo M. Birmingham Funeral Home on Market Street. He lived for a time at 72 Hobson St. and then moved to 82 Hunnewell Ave., where he lived with his wife Kathleen (Keller) and daughter Kathleen at his death. Shortly after his death in 1936, the House voted to rename Soldier’s Field Road Extension as the Leo M. Birmingham Parkway.